Wednesday order online at www.dukwo.com use coupon code “Online17” get 10 %OFF. 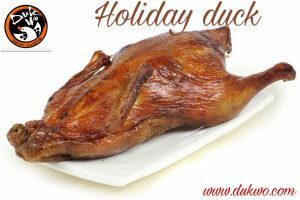 Order whole Peking Duck now and save. Our Annual Holiday Duck special is available now.You can call in and order over the phone or in person as well! We will deliver to you or you can pick it up. You must order 24 hours in advance and prepaid . $26.00. -One whole Duck roasted, not carved. Duck will need to be reheated in oven a 350 for 30 minutes. – One pack of 10 pancakes.Wrap in wet towels and microwave or steam to soften them up . – One bag of sliced onions. -Eight ounces of our plum sauce. Celebrate small business saturday with us Nov 25! #shop small and share the businesses you love. 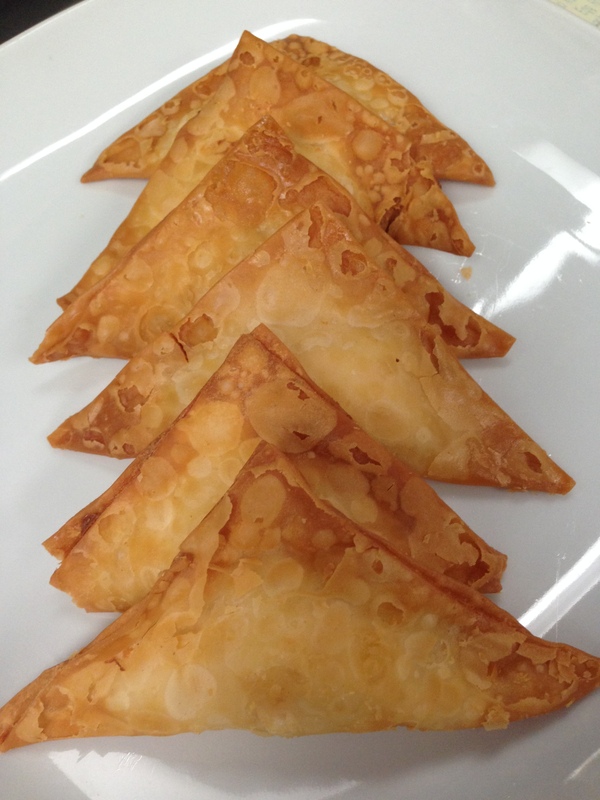 Try our “crab rangoon” Today, it is our one of the best selling menu item . 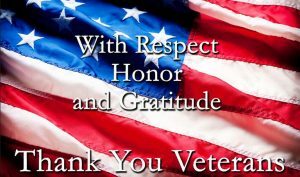 We are offering 10% off online ordering today .Order online at www.dukwo.com and use coupon code “Veterans 17” on the check out get 10% OFF your entire order. 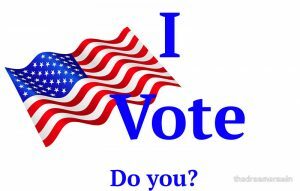 Today November 7th Virginia General election day! 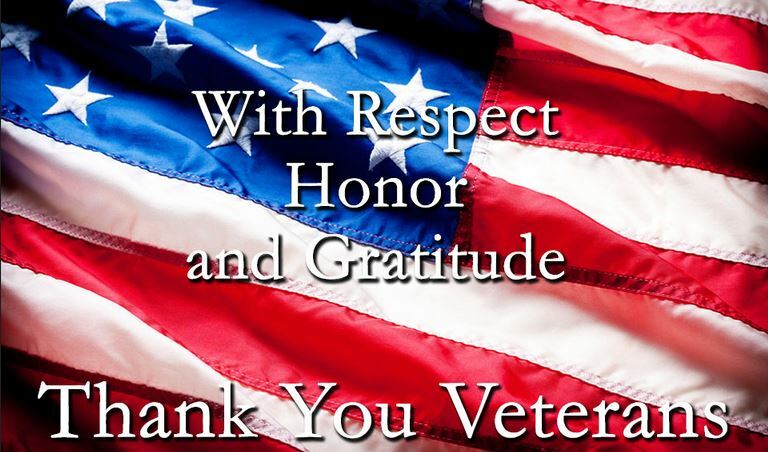 We are offering 10%OFF of your online order. Use coupon code “Voted17” on the check out. Order your favorite Chinese food and fresh sushi at www.dukwo.com . It is free and easy . 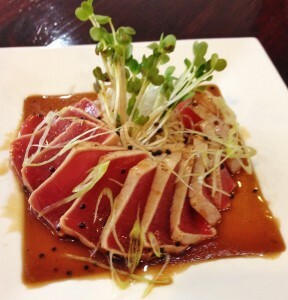 Seared fresh tuna served thinly sliced topped with masago, scalions and seaweed salad , japanese dressing on the side . Only today Sunday for $10.00 . 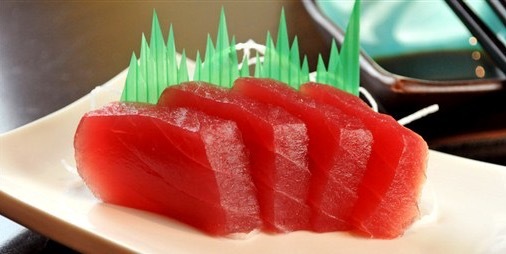 We also have tuna sashimi for $5.00 2pcs.